Thursday breakfast. 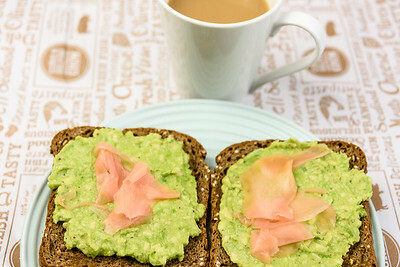 Avocado and pickled ginger on toasted Rye bread. Thursday lunch. 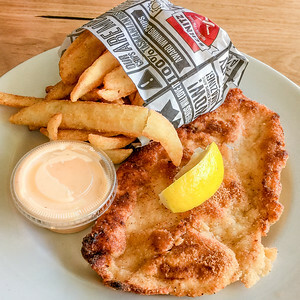 Chicken schnitzel with chips and sweet chilli mayonnaise. Thursday dinner. 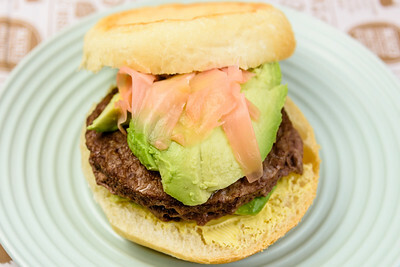 Beef burger with avocado and pickled ginger.